When you can’t get what you want from a company, there are many bad ways a customer service representative can respond. Ahem. But in a bit of refreshing news, one Airbnb employee recently showed just how good customer service can be, even while having to reject that customer. Warning: before you keep clicking: Two attractive men in a shower. No genitalia shown, but NSFW. A New York City party promoter who’s renting out his Fire Island cabana wanted to make sure that potential guests noticed his listing among all the others. And because Fire Island is a popular destination for gay men, he knew he had to use the perfect bait to show just how great his place could be, as New Now Next points out (h/t to Daily Dot). Here’s where the hot fellas covered in water come in, just one of many other photos of the property, but one that definitely um, stands out. Because hello. Unfortunately, it seems he won’t be able to keep the photo in the listing. But the rejection from Airbnb’s specialist hits it out of the park — she handles the whole situation with empathy, poise and general awesomeness. It’s the kind of letter that makes you want to be friends with someone and hang out and do friend stuff with. Maybe get some ramen at that new place that just opened, who knows. The cabana owner posted the letter on his Facebook page earlier this week, calling her “a class act.” And if you don’t think so as well after reading the nicest rejection letter ever, well, you’re missing out on some warm emotions. I hope this message finds you well! 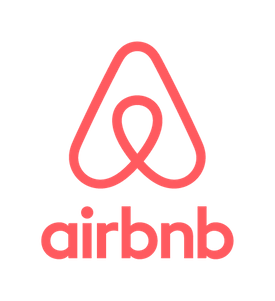 My name is Kristi and I’m a specialist with the Trust and Safety Team here at Airbnb. Okay, now that we’ve gotten that official introduction out of the way, your (admittedly, mesmerizing for my tastes) photo for this listing has garnered more attention than may be warranted for the listing itself. I’m a writer of m/m erotica and was very, um, pleased to see your photo, but I think it may be just outside of our current realm in terms of general non-risqué photos for listings. Again, not saying that I personally didn’t think it was captivating, but if you didn’t mind putting up a photo less visually – compelling – while still keeping the verbiage, some of us will sigh with disappointment, but it will also fit more soundly in our Terms of Service. If you didn’t mind dropping me a line when you insert a different photo, I’d be grateful. Also, if you happen to know any friends with ringleted red hair, please let me know; my most recent writing submission could use a book cover. In all seriousness (and the book cover part was serious! ), I’m so glad you’re hosting with us, just want to ensure that the preliminary photos are showing more of the listing. High five, Kristi. No, make that a high 10.